Ascot Primary School Principal Mark Jackson (far right) showed appreciation for the newly donated computers from GK Insurance (GKI) as a student tested out one of the new machines that will benefit the school’s upgraded resource room. 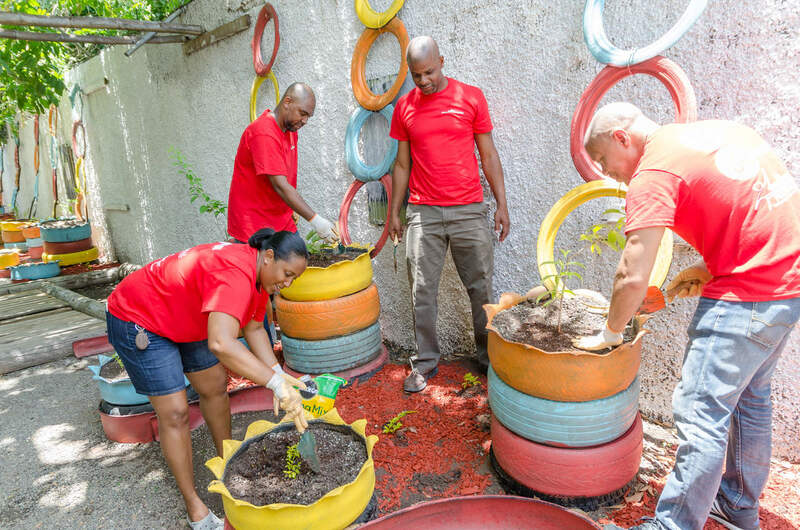 Looking on are (left to right) Andrew Leo-Rhynie, GKI’s General Manager; Chantelle Smith, Personal Lines Associate at GKI’s Portmore branch; and Leona Remekie, GKI’s Assistant General Manager – Business Support. 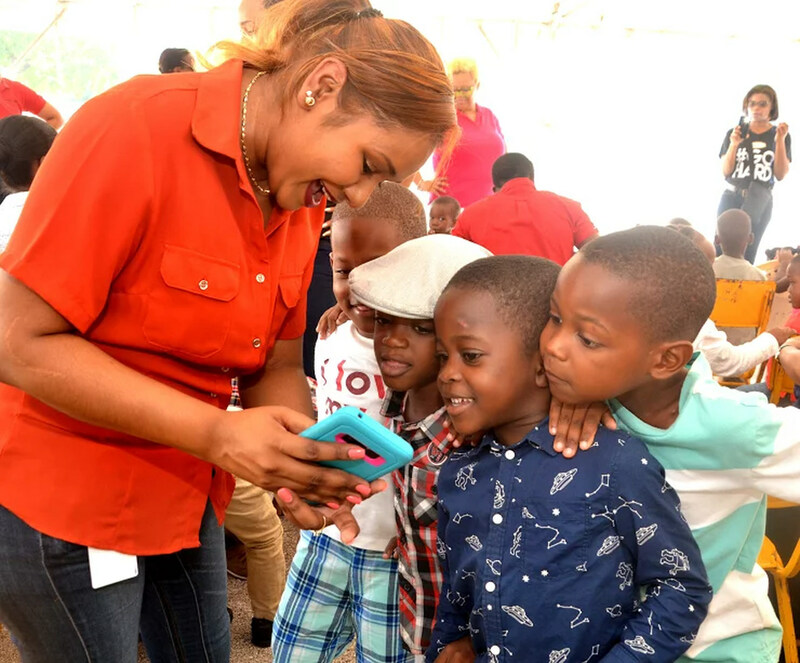 Students from two primary schools were met with much-needed surprises as they returned to start the new school year earlier this week. The Ascot Primary and Alpha Infant schools both benefitted from donations in kind from leading insurance-provider GK Insurance (GKI) to help fight learning disabilities as well as to improve learning environments for children. Ahead of the bustling back-to-school week, the Ascot Primary School was gifted with five all-in-one computer units for use in their resource room designed to assist children with learning disabilities through interactive technologies. The room, which normally holds 38 students per session, had only five functioning computers with an additional 10 that are currently defunct. GKI General Manager Andrew Leo-Rhynie said, “Education is critical for any country to excel and early childhood education forms the foundation for the future. 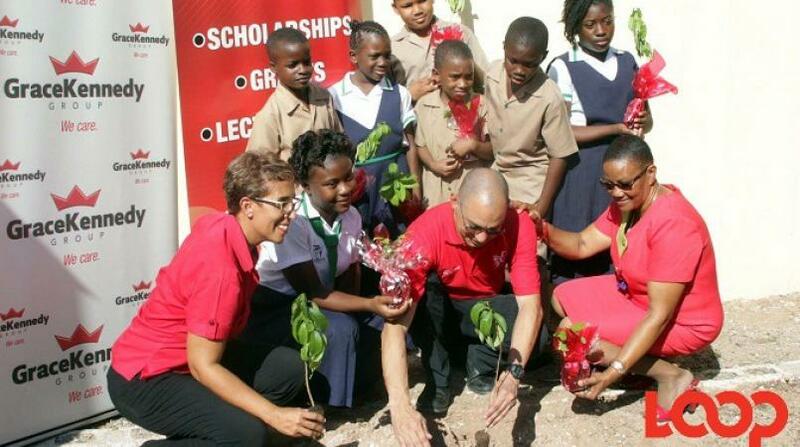 By playing our part in developing the infrastructure and helping to provide opportunities for them to grow means a world of difference because they in turn will make a world of difference.” The company, which functions as the insurance arm of the GraceKennedy Group, focuses its corporate social responsibility efforts on early childhood education. 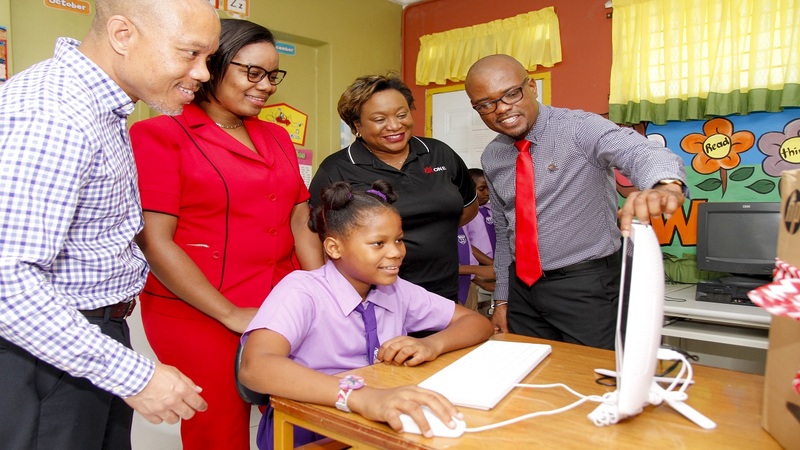 Correspondingly, Alpha Infant School also received five air-conditioning units to finally complete a three-year project aimed at tackling the reported heat and allergy-related illnesses associated with its filled-to-capacity kindergarten classrooms. Learning disabilities are neurologically based processing problems that interfere with learning basic skills such as reading, writing or math. They can also interfere with higher-level skills such as organisation, abstract reasoning, long or short-term memory and attention. The donation to the Alpha Infant School was initiated by two GKI staff members whose daughters both attend the institution. Leo-Rhynie said, “When our team members approached us and presented their initiative, we noted their daughters’ classrooms were not the only ones in need of attention.” The GKI team then decided to outfit all the remaining classrooms with air-conditioning units thereby rendering the entire infant school to be completely air-conditioned, impacting the lives of all its approximately 266 students.